Hiroaki Umeda will be back in Nantes for the world premiere of his solo Median, which once again combines dance, sound and digital art. True to his tradition of expanding the limits of experimentation, this time the Japanese choreographer was inspired by microscopic elements, imperceptible to the naked eye. The performance is scheduled for the opening of the Scopitone festival, Wednesday September 19th ! As I pursue my artistic belief, it interested me in choreographing cells or something of a microscopic scale. I believe that human bodies are part of nature, and I do not distinguish human bodies from other objects/substances when choreographing. This perception and belief brought me to this project, where I will choreograph in a scale which is beyond human’s cognitive level. The smaller a substance is, in the level of atoms and quarks, the little boundary there is between a human body and the substance. By approaching that level, where there is no more concept and boundary of human body and else, I would like to create a dance work that expands the perception of human bodies and movements of human bodies. I believe that technology is a means of accessing to the world at different scales. And for me, choreography and dance are not only for human bodies. What fascinates me in choreography is that it realizes and embodies the world that can only be created as a result of existence of movements. 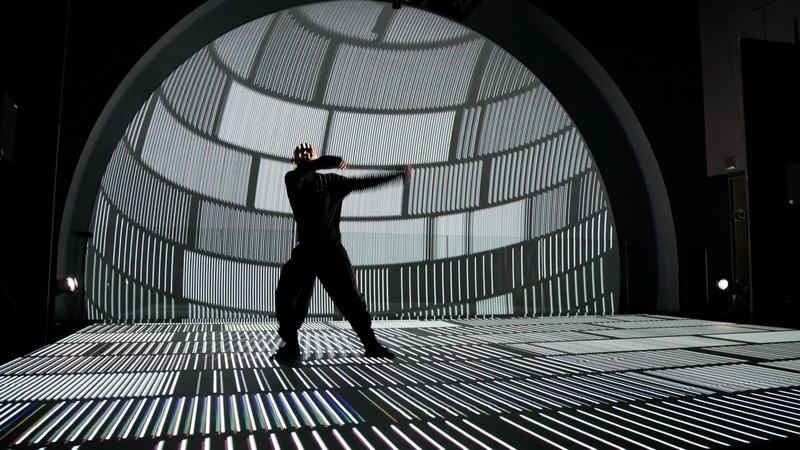 By collaborating with science and computer technology, I would like to bring different definition of choreography.